The need for more open spaces within urban environments has seen a growth in the use of roof top of buildings and underground car parks for these recreational areas. These open spaces help increase the social and environmental benefits of the building within a high density urban environment. An efficient drainage system is therefore required to stay within the structural design load limits for the roof. 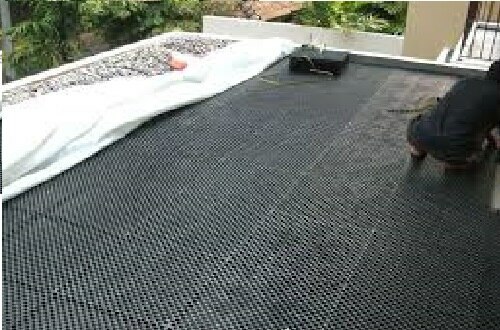 Drain Cells are modular cells which are designed and engineered for sub-surface drainage as well as for providing waterproofing membrane protection and heat and sound insulation. 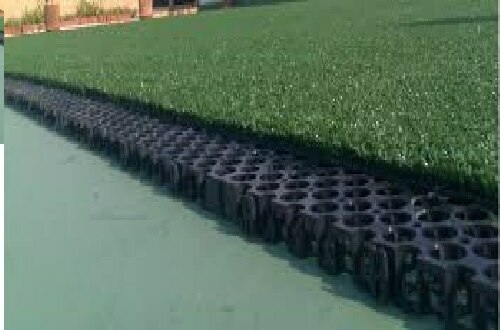 They eliminates the use of heavy gravel aggregates for sub-surface drainage and screeds for waterproofing membrane protection in planter boxes and roof gardens and is applied also on retaining walls to relieve hydrostatic pressure. Typical areas of applications include roof gardens and landscapes, paved areas and retaining/basement walls. Drain cells offers architects and developers a greater design flexibility and has a wide range of applications in the landscape, building and construction industries. These modules are easily interlocked in the same plane or at right angles to one another. They may be butted together without interlocking if required. 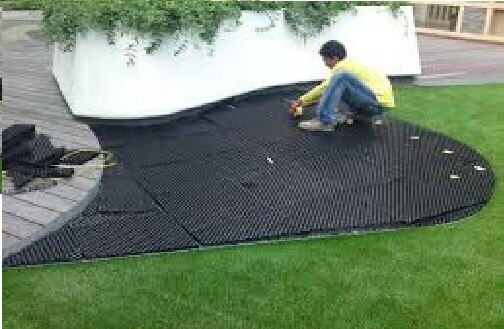 When installed with a waterproof membrane, they eliminates the need for an additional protection layer. Design Flexibility: Greater design flexibility as the modules may be interlocked in one plane or at right angles to one another to form continuous large panels, conduits and tanks. Easy Installation: Large easy-to-join modules or preassembled panels allow rapid installation and minimise on-site disruption. 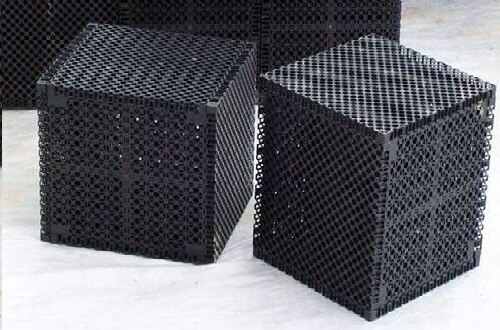 Lightweight and High Strength: Honeycomb design results in a lightweight high compressive strength structure. Durable: The modules are resistant to biological attack and to a wide range of chemicals. 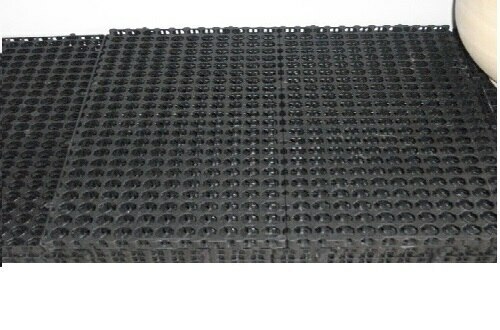 Efficient: High surface void area and internal void volume results in efficient drainage. 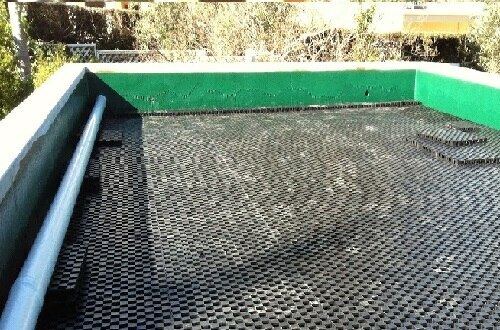 Environmentally Friendly: drain cells are manufactured from high strength 100% recycled plastics.